Things are exploding internationally with Marilyn’s Man. 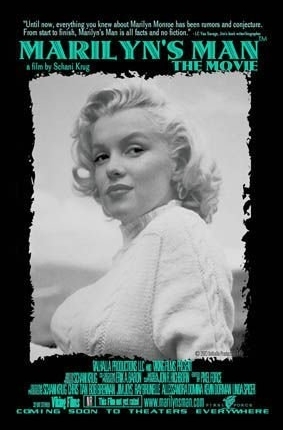 The period compilatiion hit songs from the 1940’s through the early 1960’s (all favorites of the legendary movie screen Icon, Marilyn Monroe), are now edited into the soundtrack. Likewise, the title song, All About Love, by Chris Tian, is featured in the movie. Chris has an incredible 5 1/2 octave range voice, which further enhances the song’s unique and ind elible lyrics. This haunting ballad is being promoted on strategic radio stations nationally to rave reviews by both listeners and record executives. It is also on MP3. Likewise, Marilyn’s Man is getting standing ovations at recent sneak screenings and previews throughout New England and New York. Chris has just returned from Switzerland, after being interviewed on prominent radio stations there, where All About Love is creating quite a stir with listeners and A&R people. His European promotional tour has been an eminent success. Undoubtedly, you will be hearing a lot about this multi-talented singer/songwriter, who is now our music producer on the film. This mesmerizing hit single is soon to be launched on U.S. radio stations on August 25, with an MTV video following shortly thereafter. On August 5, 2003, Jim Dougherty Was Aired Live from Auburn, Maine on ‘LARRY KING LIVE!’ Sparks flew, when Jim Let 90 million viewers know that it wasn’t Mickey Rooney who gave Marilyn Monroe her name, as Mickey had claimed for over 40 years. Likewise, he mentioned the film, ‘MARILYN’S MAN,’ directed by Schani Krug and produced by Valhalla Productions, and how it was going to set the record straight about all the misconceptions about Marilyn. Check Out This Controversial Transcript Between Larry King, Jim Dougherty, Mickey Rooney, Jeanne Carmen, James Bacon AND Cyd Charisse.